Chichen Itza recently named one of the new seven wonders of the world attracts people from across the globe. Visitors come by the bus loads to walk the grounds, view the sites, and ponder the past where both Maya and Toltec civilizations once flourished. the stairs of a serpent. However, on both the Spring (March 20/21) and Autumn (September 21/22) Equinox the crowds grow. People come to witness the special illumination of the pyramid steps from the sun and shadows. 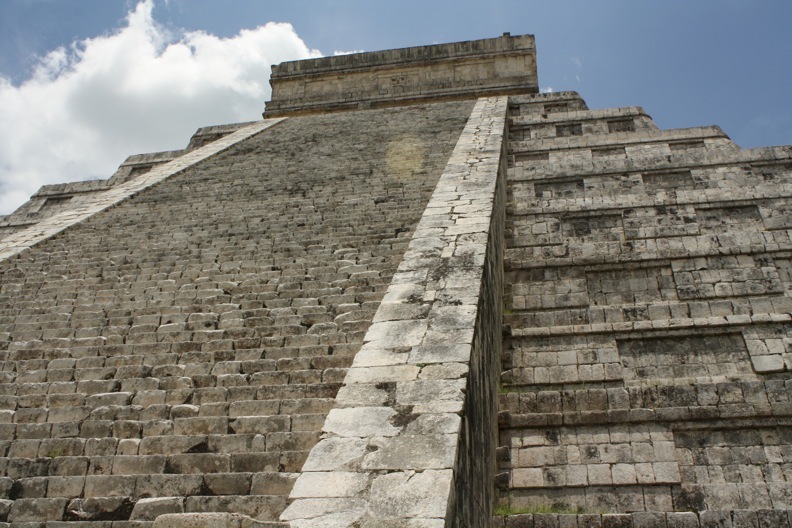 The natural spectacle begins when the first shadows appear on the Kukulcan pyramid as isosceles triangles on the steps. The steps seem to make the body of the feathered serpent on the move. As the shadow slithers down it eventually reaches the snake’s head to the spectators delight. An energy arrived for the masses. The snake apparently (in legend) continues down a path to the sacred pool. 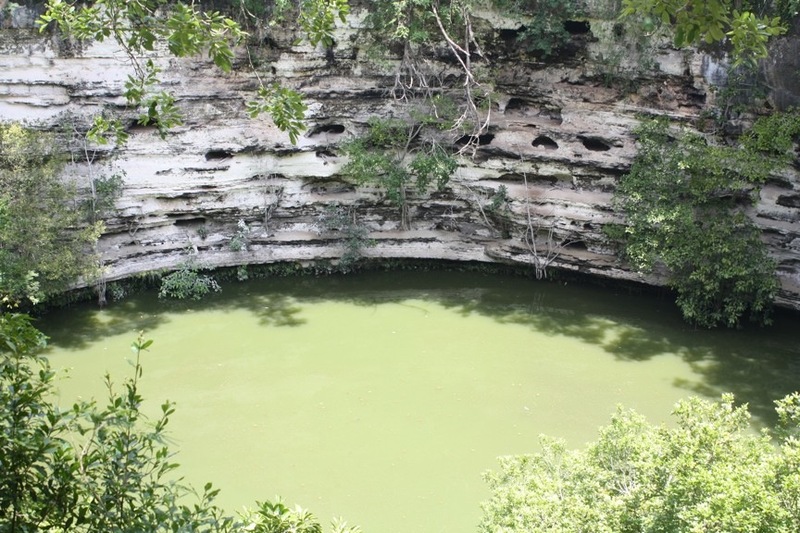 The pool, a magical mayan cenote and source of fresh water provides the final resting place for snake’s passage (the energy) as well as other sacrifices based upon the countless rituals performed. The greenish mysterious and murky waters seems to hold more serpents, but secrets. Although you can’t swim in this cenote (and can’t climb the steps of the pyramid of Kukulkan) you can see witness its power and magic during the days that span the equinox (it happens both a few days prior and post) or even just visit to see the ruins and pool on any “normal” day. There is so much to see and absorb about this wonder. And to truly understand the ruins and archeology of Chichen Itza and the sacred pool cenote I recommend hiring a tour guide. If you take a tour from Playa del Carmen or Cancun like Xichen one will be included (in spanish and English). Or if explore solo and like guide books, I recommend supplementing the basic book with the Mayan architectural approach guide to enhance the experience. Both helped me on my adventure. Day 18 of the 20 day Mexico Bicentennial Tribute. Day 3 of Cenote Week. A special thanks to Experiences Xcaret (via Riviera Maya) for providing passage to tour Chichen Itza via the Xichen Tour. Thank you, Craig, for including us in your post! Your trip sounds like it was an amazing experience, and we are so glad that you found our guidebook to Mayan architecture useful. We look forward to reading more about your trip!